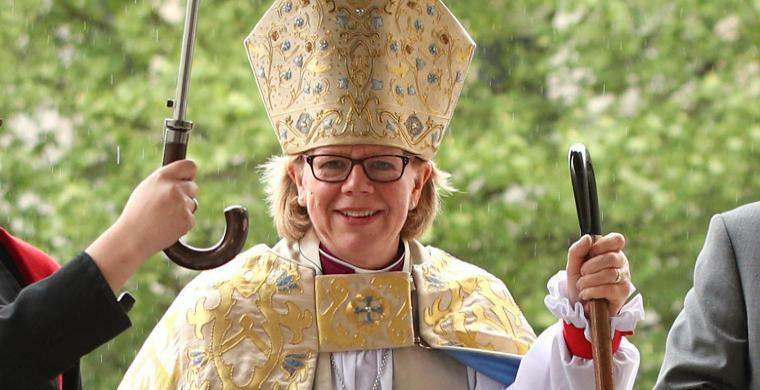 Why was Sarah Mullally chosen to be Bishop of London? This position of pre-eminence naturally cries out for a distinguished priest who is phenomenally gifted or has made a remarkable contribution to church and society. A few names who would qualify for the position flit across my mind. How about Michael Nazir-Ali, former bishop of Rochester, Islamic scholar fluent in Urdu, Arabic and Persian and champion of persecuted Christians in Islamic countries? Nazir-Ali is a potential dynamo for gospel engagement with the large Muslim population of Londonistan. How about Nicky Gumbel, pioneer of Alpha, a tool that has been used for evangelism across the world? I am not a fan of Alpha. But Gumbel’s church has grown to one of the largest in London, with a vision for planting new churches. How about Alastair McGrath, Andreas Idreos Professor of Science and Religion at Oxford University? McGrath is scientist and theologian, has his first doctorate in molecular biophysics and two further doctorates in theology. An atheist who became a Christian, McGrath is a stellar public intellectual and apologist. His rebuttals of Richard Dawkins make the Oxford atheist look like the classroom dunce. How about Giles Fraser, spitting liberal, Marxist radical, pro-gay, doctorate on Nietzsche and long-time columnist in The Guardian? As far as the east is from the west, so is my theology and politics from Giles Fraser’s, but the ‘Loose Cannon’ and Brexiteer has brains and balls and blasts his way into the marketplace of ideas. McGrath's rebuttals of Richard Dawkins make the Oxford atheist look like the classroom dunce. So what are Mother Mullally’s towering achievements and phenomenal gifts that qualify her to be appointed to the third most important bishopric in England? Mullally’s crowning glory is that she is afeminist and so ‘necessarily subversive’ as she portrays herself in her debut sermon. Feminism is subversive? Is the new Bishop of London so out of touch with cultural criticism that she doesn’t even know that feminism has been part of the dominant orthodoxy for ages? Feminism in the West is as subversive as environmentalists hugging trees and snowflakes cuddling teddy bears. ‘Subversive’ comes from the Latin sub ‘from below’ and vertere ‘to turn’. The dictionary defines it as ‘seeking or intended to subvert an established system or institution’. If Sarah were a smidgen subversive, she wouldn’t have gotten her toe onto even the first rung of the greasy ladder of the hierarchy in the established Church of England. Oh, do stop playing at being subversive, Bishop Sarah! Don’t hijack the term and mould it like Play-Doh into yet another establishment cliché. If you were subversive you’d have spoken out against abortion when you were a midwife like the midwives Shiprah and Puah from the book of Exodus. Mullally’s crowning glory is that she is a feminist and so ‘necessarily subversive’ as she portrays herself in her debut sermon. ‘It’s not just gender; it’s also your background that’s equally important,’ she adds. Translated from Anglican virtue-signalling gobbledygook into English, Mullally was chosen to be Bishop of London because she’s a woman who went to a comp school and polytechnic and trained at Saint Mickey Mouse Seminary. The Mullallyfication of the Church of England has begun in earnest. A church requires at least seven characteristics to become truly Mullallyfied. Mullally was chosen to be Bishop of London because she’s a woman who went to a comp school and polytechnic and trained at Saint Mickey Mouse Seminary. First, appoint leaders who lack the rigour of a well-grounded seminary education in theology, scripture, ethics and critical thinking and very soon you will have a Mullallyfied church. Second, appoint women bishops who will ram the feminist agenda right down the aisles into the rapidly depleting pews. Mullally will now insist on being present in full regalia at ordination services of Anglo-Catholics and evangelicals who disagree with the ordination of women. Third, appoint bishops who display a studied refusal to address controversial issues like abortion, gay marriage and militant Islam. Mullally’s view on abortion is woollier than a Merino sheep. Her blog describes it as ‘pro-choice rather than pro-live [sic], although if it were a continuum I would be somewhere along it moving towards pro-life when it relates to my choice, and then enabling choice when it relates to others’. Huh? Fourth, Mullallyfication rejoices in mediocracy over meritocracy. In fact, merit automatically disqualifies you from being a bishop – because someone clever, or prophetic, or outspoken is hardly going to toe the establishment line. Fifth, Mullallyfication sanctifies the cult of managerialism. Bishop Gavin Ashenden’s law of inverse proportion defines it thus: ‘the less confidence Christian leaders have in the experience of the Holy Spirit, the more they depend on the scaffolding of secular society.’ The religious bureaucrat is obsessed with the technicalities of safeguarding more than evangelism, preaching, or pastoral care. Mullallyfication rejoices in mediocracy over meritocracy. Sixth, a Mullallyfied church will continue to invest in the victimhood industry. Rather than apply biblical principles of vocation and spiritual gifts as essential criteria for bishops, candidates will be selected on the basis of how deprived or discriminated they have been. Gender and skin colour will be seen as more important than the ability to teach or hold to sound doctrine. What matters is the colour of your skin, not the content of your character. Seventh, Mullallyfication demands fluency in the discourse of nothingness and niceness. The scandal of the cross must be domesticated into the sugary geniality of a Hallmark greeting card. The Mullallyfied bishop and church must virtue signal faux charity but display very little clarity, especially clarity on the gospel.